Synchrono software works from core principles that drive velocity, control variability, create predictability and help you gain visibility and drive flow through your entire enterprise. Synchrono software is web-based and easy to implement, integrate, and use. The experience we have gained through a wealth of implementations has resulted in integration expertise. In fact, we are as proficient in integrations as we are at software development and can seamlessly integrate our demand-driven software solutions with your existing ERP or other enterprise systems. And we don’t abandon you after you go live on our software. Through our InSync program, we work with you to drive continuous improvement. 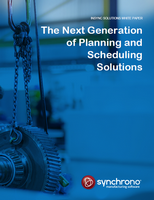 Synchrono has successfully worked to manage constraints, increase flow and improve on-time deliveries across highly complex manufacturing environments for engineer-to-order (ETO), configure-to-order (CTO), make-to-order (MTO) and make-to-stock (MTS) clients around the globe. 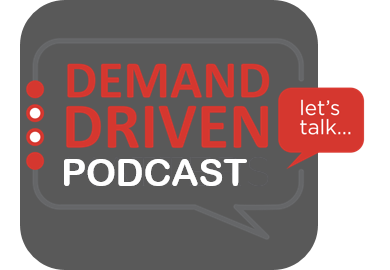 Lean manufacturing and demand-driven principles drive our software development and will, in turn, drive your performance and flow. In 2001, we were the first manufacturing software company to introduce real-time synchronized solutions to enable Lean improvements and demand-driven environments. 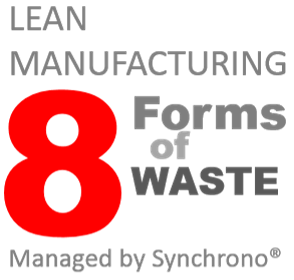 Synchrono clients experience more success when using our software to eliminate waste and maximize their value stream. 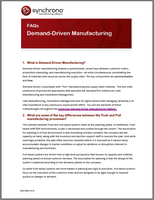 Manufacturers follow a theory-of-constraints (TOC) model when they subordinate all of the supply chain to the needs of the constraints within the process. Synchrono demand-driven manufacturing software allows them to apply the five focusing steps; institutionalize the drum-buffer-rope principles; and enable continuous improvement through our proprietary work regulation tools. These, in turn, deliver real-time visibility into your production environment. 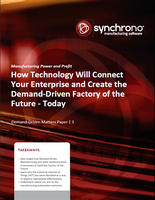 See how Synchrono can help you bring demand-driven manufacturing to life at your organization. Watch our video describing the Synchrono Demand-Driven Manufacturing Platform or schedule a demo.